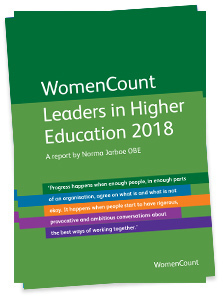 WomenCount is a non-profit organisation benchmarking women’s leadership across charitable, academic and public bodies. To date much of the attention on women’s leadership has been focussed on private sector boards and senior women. Other sectors play an equally valuable role in creating a stable, prosperous society and will increasingly be the partners of the private sector in the 21st century. All need to reap the benefits of diverse leadership – more efficient, innovative organisations that respond to stakeholder needs and prudently assess risks. WomenCount is very grateful to Perrett Laver for once again supporting this report. It was launched at the London School of Economics and Political Science on 28 November 2018.